A hero sets sail. An island is found. A nation is born. Early thirteenth century CE. The Srivijaya Empire, considered to be one of the world's greatest maritime forces, has been abruptly left powerless in a swift political exchange.With nothing but a meaningless crown, a once-lauded navy and the will to keep alive the name of Srivijaya against the endless onslaughts of old enemies and ambitious neighbours, Emperor Prabhu Dharmasena and his kin leave behind their island realm to traverse the seas, desperate and homeless. Among those who sail with him is the Emperor's youngest son, Nila Utama, for whom loyalty and honour have ceased to have meaning since he saw his father forsake their beloved land. Now, all that is left to do is survive...Or so Nila thinks, till a voyage across turbulent seas brings him to a fishing village, where the headstrong prince, so far insistent on keeping to the shadows, is forced to step up to his responsibility, face his old demons and discover what it truly means to be a king. 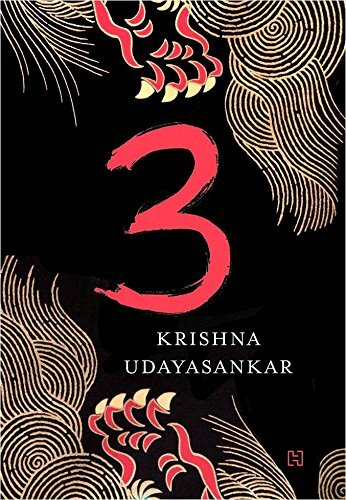 Based on the founding legend of the island of Singapore, also known as Singapura or the Lion City, 3 is an engrossing tale - told in an exquisitely rich voice - of love, self-realization and adventure on the high seas.